Here are some examples of what people have bought with their $26. 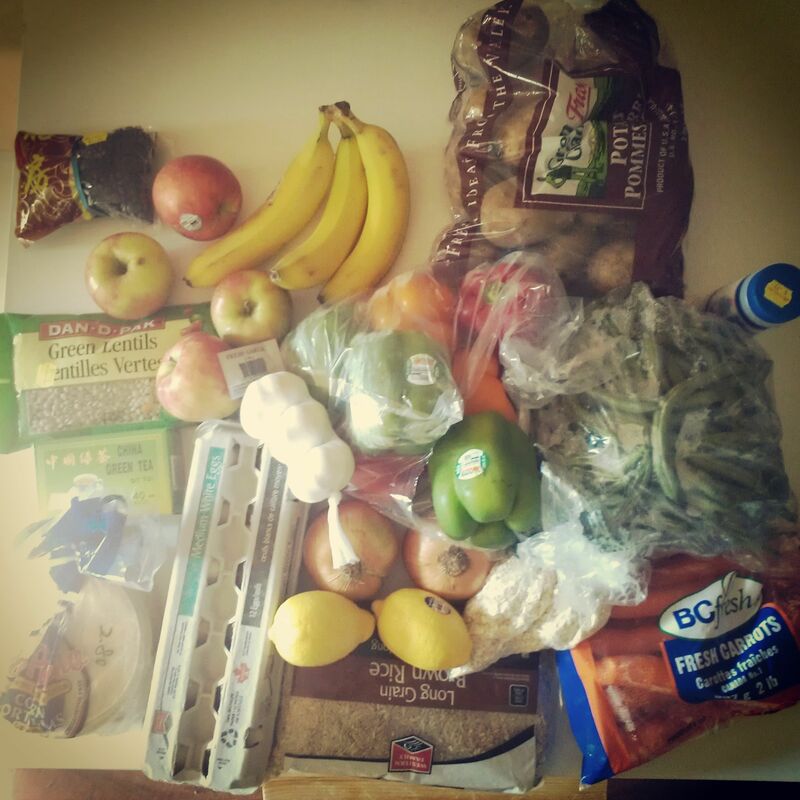 However careful a person is, it is impossible to buy enough nutritious food to eat a healthy diet on $26. The Dietitians of Canada say that for a basic diet, no luxuries, an adult female should spend about $50 a week and a male about $60 a week. No amount of careful planning, budget shopping and imaginative meal preparation can stretch welfare money to provide a balanced and healthy diet. A person on welfare inevitably ends up eating an unhealthy diet and often going hungry; these make people ill. Chef Karen Barnaby kindly shared her menus for a week with Raise the Rates. Her ingredients cost about $50 a week. 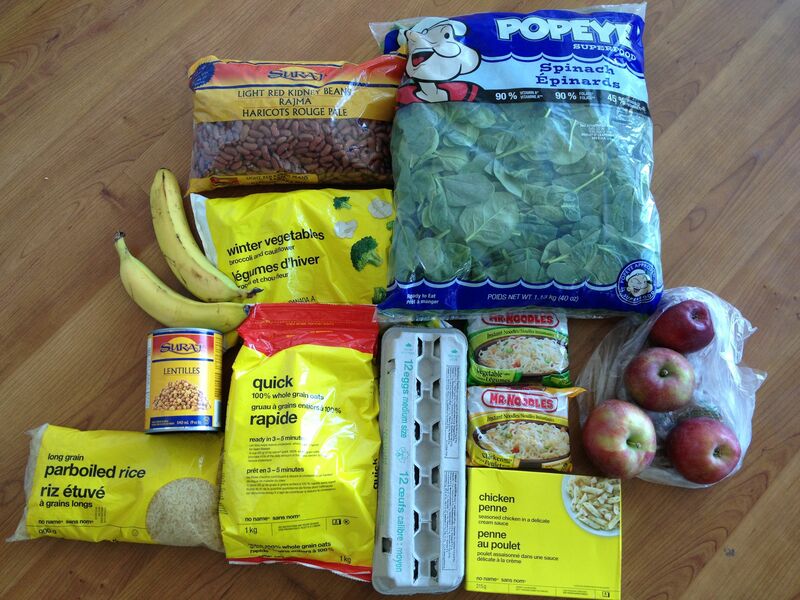 This is about what the dietitians say an adult female should spend for a healthy, but basic diet. 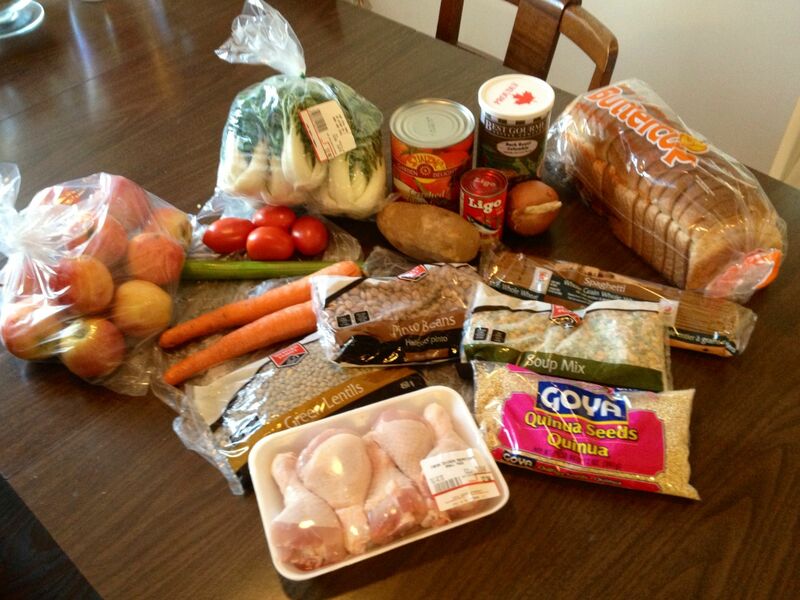 Here is a basic shopping for an adult male for a week, which cost $62.86. 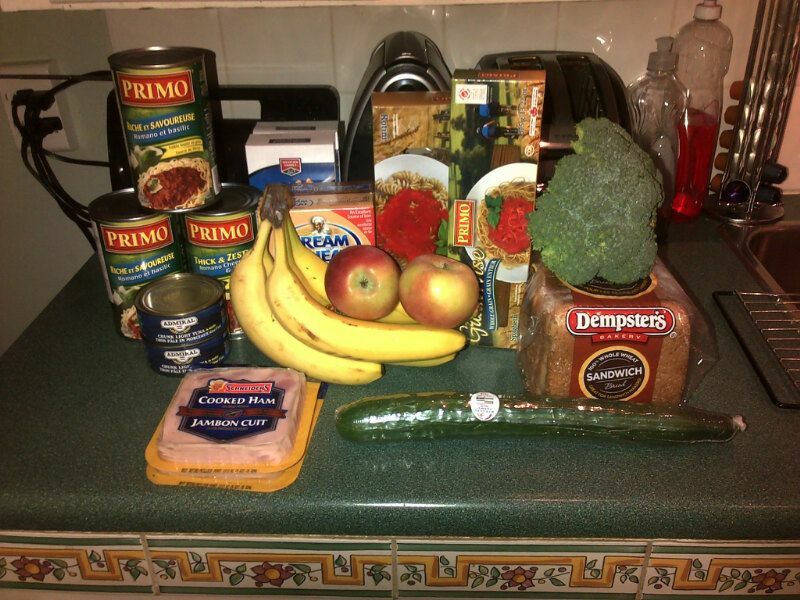 This is about what the dietitians say an adult male should spend for a healthy, but basic diet.